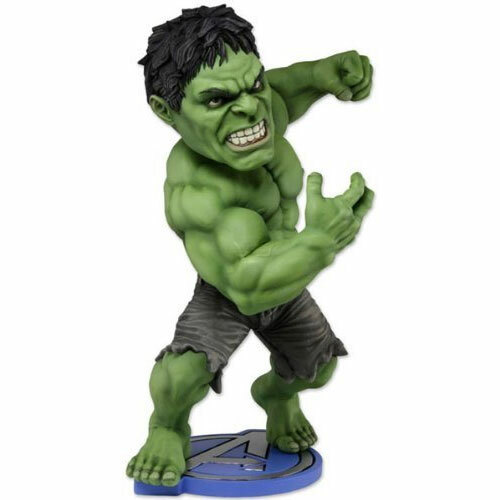 This is NECA’s (National Entertainment Collectibles Association) Hulk Bobble Head based on the Hulk seen in Joss Whedon’s The Avengers. The Hulk is probably the best of NECA’s Bobble Heads and looks awesome wherever he’s placed. Stands almost 8 inches tall, so unfortunately he’s really no bigger than the other NECA Avengers bobble heads, but you get that. He’s still cool. 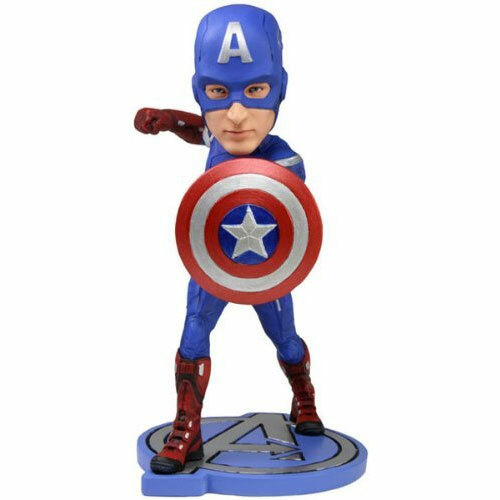 This is NECA’s (National Entertainment Collectibles Association) Captain America Bobble Head based on Chris Evans’ character as seen in Joss Whedon’s The Avengers. 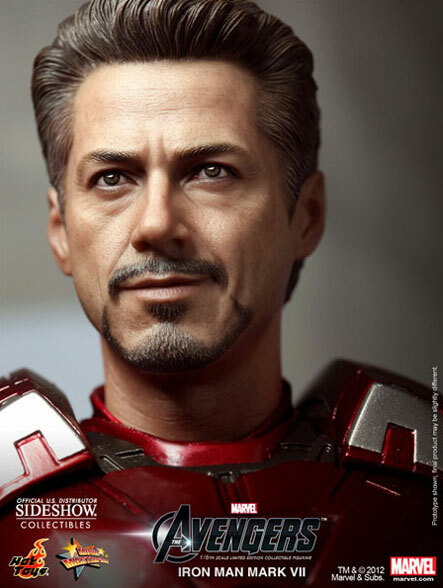 Not the most expensive of Avengers collectibles and will look good on any desk that needs a little bobbling superhero protection. Stands almost 8 inches tall. 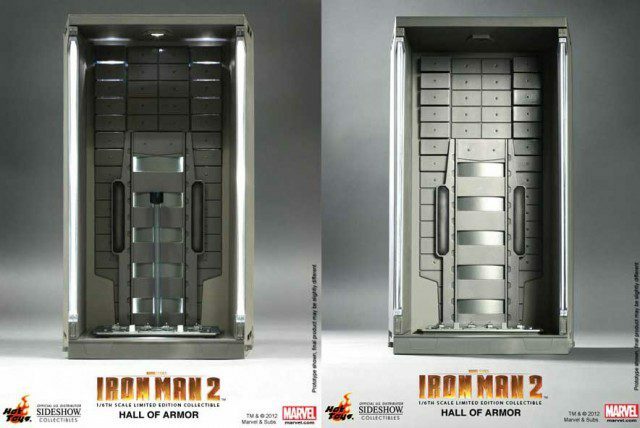 This is a set of San Diego Comic-Con 2011 exclusive Avengers paperweights. 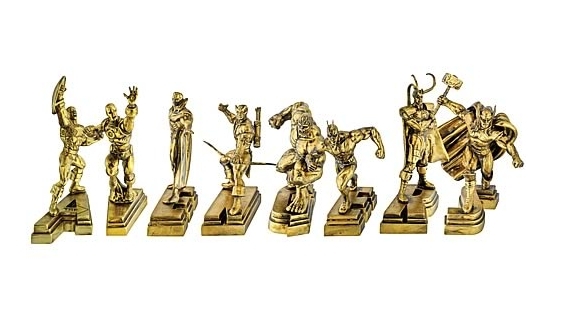 The set contains 8 pieces of gold plated resin Avengers paperweights featuring detailed statues of Captain America, Iron Man, Vision, Hawkeye, The Hulk, Giant Man, Loki, and Thor. The statues stand on letters that when assembled spell AVENGERS. Very cool! If you want this don’t delay. They’re selling out fast and will soon be a very rare item. This is the Sideshow exclusive version of Hot Toys’ brand new Movie Masterpiece series’ Limited Edition THE AVENGERS Iron Man Mark VII Sixth Scale Figure. 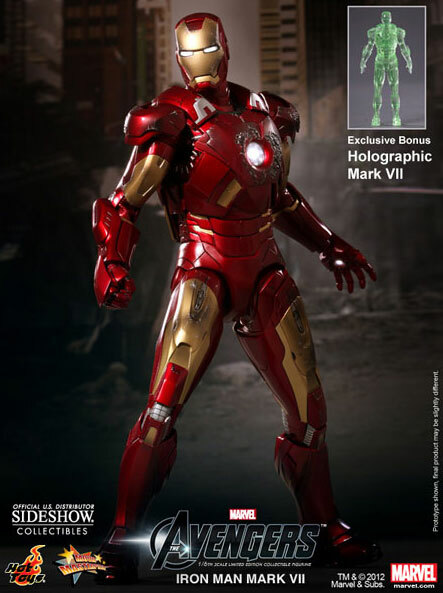 Exclusive to this version is a unique Holographic Mark VII Accessory that is not available anywhere else. This is a movie accurate version of the Iron Man Mark VII suit that comes highly detailed and fully deployed. 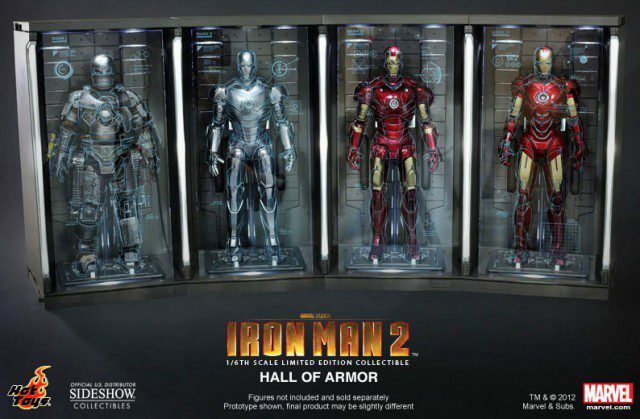 This figure will also suit the Hot Toys Hall of Armor Diorama.